Posted on August 24, 2015 by H. W.
One of the more interesting challenges I have been tackling since returning from the field is in categorizing my fieldnotes in a usable way. 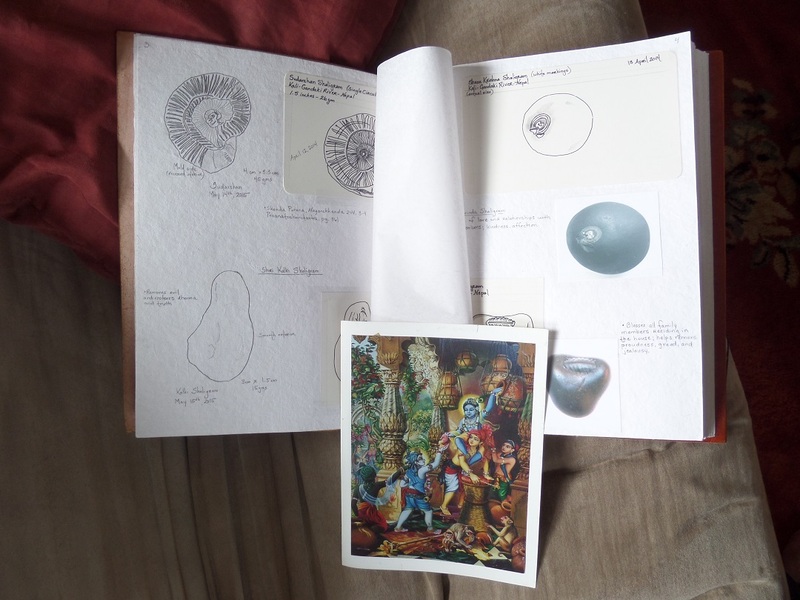 By this I don’t just mean figuring out major recurring themes or breaking down conversations into relevant questions and answers, I also mean attempting to organize categories and photos of various types of Shaligram Stones into some kind of short-hand grid. 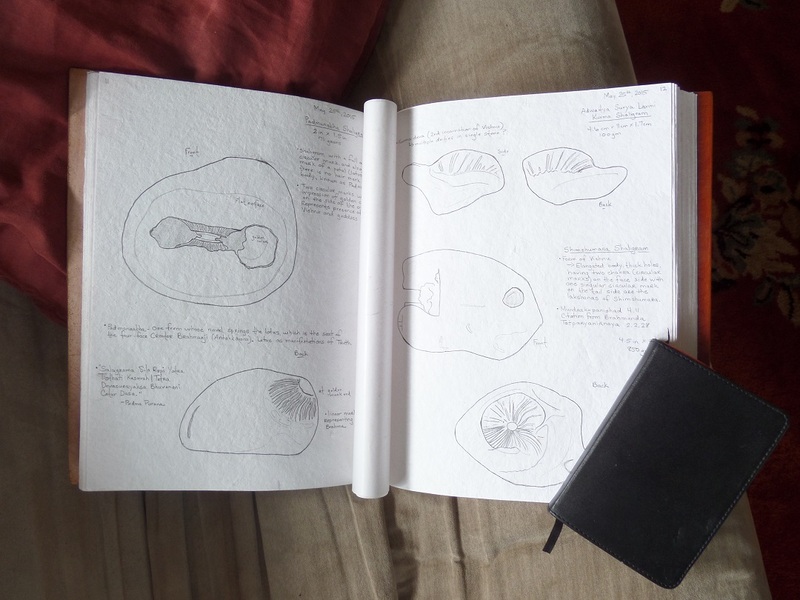 While variously arguing with Excel or tearing my hair out with Photoshop, it occurred to me that what I might actually be attempting to do is something along similar lines to that of a naturalist’s field guide. And while the relationship between famous naturalists of old and modern-day anthropology is a long and fascinating one, I am also attentive to possible critiques of “butterfly collecting”: a version of social anthropology derided by Edmund Leach (1961) that saw any attempt at creating social typologies or other systems of anthropological classifications as an imposition of the anthropologist upon the culture in question. He made this critique on the grounds that any resulting classification systems made no more sense than, say, grouping all blue butterflies together and pronouncing them the same based on shared color. In more recent anti-colonialist and anti-development literature, classification is also rejected on the grounds that it is a method by which the hegemonic West asserts power over marginalized or “othered” groups. So how does one deal with the problem of categories in this case, then? Especially since categorization is both still ubiquitous in social science literature and is commonly used among the very people we seek not to categorize by our own standards. For my research, a two-prong approach is best I think. Firstly, I am already leveraging categorizations of Shaligram Stones in use by the people themselves who venerate the stones (many of such categories being drawn from Vedic and other religious texts) and secondly, I am acknowledging that designations and differentiations can be employed to the benefit of research while also addressing possible flaws, over-generalizations, and the problem that all systems of neat categorization tend to erase the fluidity of boundaries and categorical outliers that demonstrate just how problematic believing in this entire process is in the first place. And yet,”classification is possible because a society is no more just a collection of individual human beings than a house is just a conglomeration of lumber, bricks, and nails (Lewellen, Political Anthropology, 2003).” And it is for this reason, in part, that a field guide to Shaligram Stones will comprise at least one part of my larger research. The second reason is that my interlocutors and informants have already expressed great interest in such a work, one that draws together a wide variety of their current sources into a single, referential, text available to all; and for anthropological ethnography, the idea that your final publication could be both valuable to your discipline and equally so to the people you work with is the finest compliment there is.